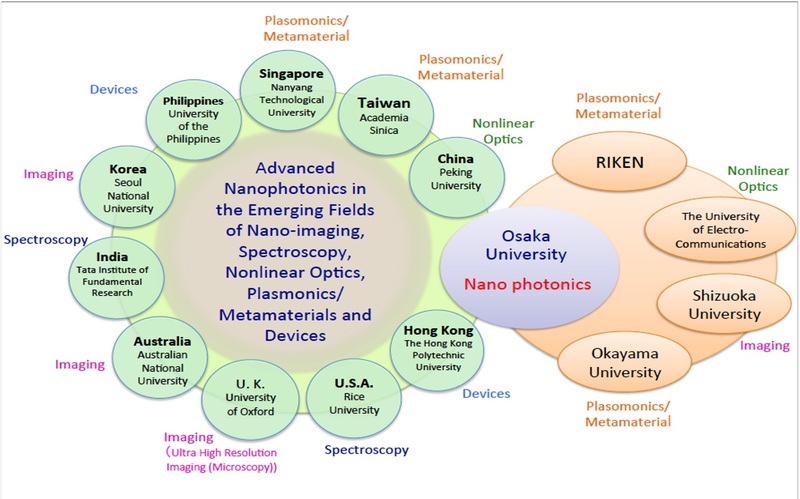 The Global Nanophotonics 2017 (GNP2017) is an international symposium, organized under the Japanese Society for the Promotion of Science Core-to-Core program, which is based on the collaborative research on Nanophotonics, involving 11 different countries in Asia and across the world. After the success of the first symposium (GNP2016) held in Osaka, Japan, we aim to continue this symposium and hope to keep it growing in the coming years. The main purpose of GNP2017 symposium is to promote research in the vast field of Nanophotonics on a global platform. Recently, the Nanophotonics community has grown remarkably and many groups have achieved impressive results. It will be the right time to discuss these new and interesting achievements during the GNP2017, which will bring together academicians and scientists interested in the latest developments in the field of Nanophotonics. The symposium will address the fundamentals and applications of multidimensional fields of photonics and nanophotonics, ranging from materials to biological applications. The scientific program will include invited talks, a special discussion and a poster session. The conference will also emphasize on active participation of students and young researchers.